Calgary Oil Show - Are You Coming to this Big do? Ever been to the Calgary Oil Show in Alberta, Canada? In the southern part of the province is our largest city, with over a million people now. The city has entered the big times. 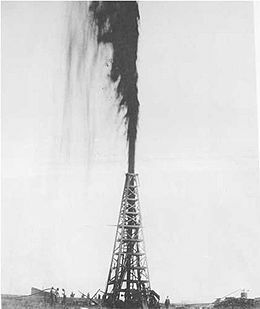 They first discovered oil south of Calgary in the early 1900s, but it took until 1947 for Alberta's oil industry to flourish, with the cracking of Leduc #1, and that was further north. Calgary nonetheless found itself at the center of its first oil boom, and economic growth lurched ahead as oil prices increased with escalating demand. The population in Calgary quickly increased. Many new buildings and other developments sprang up along with the growing economy. This trend spread throughout other Canadian provinces, and their downtown areas have similar tall buildings. In mid-June, the annual Global Petroleum Show takes place in Calgary. It has evolved into the most significant petroleum show in the entire world. The Calgary Oil Show started back in 1968, and has expanded over the years. This Global Petroleum Show centres around presentations of the latest technology in both on and offshore exploration, production and energy transportation. This event, one of the world's most significant oil events, expects over 60,000 attendees in a typical year. We see over 1,600 companies participating and exhibits, placed throughout the anticipated 550,000 square feet of space. Features, events and additional demonstrations shall invite guests to explore, and the show remains the largest gas and oil technology fair anywhere. From extraction and processing expertise to that for evaporation oil spills and other environmental hazards. Companies that plan to work in Alberta need to conform to various regulations, starting with licence application criteria set out in AER Directive 56. We've also seen a new Global Petroleum Conference and Global Petroleum Career Exposition, along with hot new exhibits and events to visit. 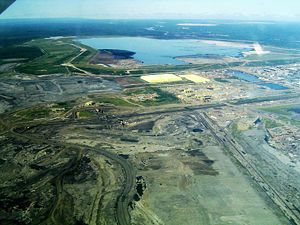 Travellers to Calgary include professionals representing most occupations and services in the oil and gas industry, including the Alberta Oil Sands. Experts from CEOs and administrators to tradespersons flock to this annual event and learn about the business, find investment opportunities, and learn how to work with colleagues in the same industry from all over the globe. The Calgary Petroleum show is a great place for businessmen to get together to discuss oil related issues, and also have a great time don't forget. One of Canada's fastest growing cities, Calgary is home to the majority of North America's oil and gas production companies. Along with the oil business in Calgary, many enjoy the beautiful mountains and other Calgary attractions. Make a week out of it and enjoy the culture and scenery along with your Calgary Oil Show if you like. Or even just use your stay to learn as much as possible about the industry. If you are looking to create new business opportunities, schmooze with potential partners, or just have a great time in this wonderful province in Canada, you should consider visiting the next annual Petroleum Show in Calgary. Go back from Calgary Oil Show to the Calgary Downtown Map web page.